In this post, I provided details about configuring Peer cache in Configuration Manager. Please find the overview of topics I am going to cover in the post. Peer cache first introduced as a prerelease feature in CB 1602 version. Pre-release feature is released for early testing in production environment and it’s still in development. Beginning with CB1710, It’s a built-in Feature and you need to configure before use it. As we all know, Peer cache is a 100% Configuration solution and it does not required to configure GPO or Any other Windows Technology. It enables Peer Cache clients(Peer Cache source) to share contents with other clients in the same boundary group. OS Images, Driver Packages, Applications, Updates, Packages & Boot images can be shared. During Task Sequence deployment, when the client is in Win PE mode, It uses Network Access account for authentication to download content from Peer source clients and doesn’t require NAA for any other deployment. For enabling peer cache feature, You can decide based on number of workstations, connection speed to Distribution Point & High availability of content. You can create custom report to decide Peer Cache Client based on the below criteria. Peer cache clients will reject content if it’s in low battery mode, CPU loads exceeds 80% at the time of content requested, Disk I/O has an AvgDiskQueueLength that exceeds 10 & there are no more available connections to the computer. Below is my Demo LAB for testing Peer cache feature but unfortunately, I couldn’t test the client machines on the different subnet. I have two clients machines which are part of same boundary group. In the SCCM Console, Client Peer cache needs to be enabled under features before we use it. 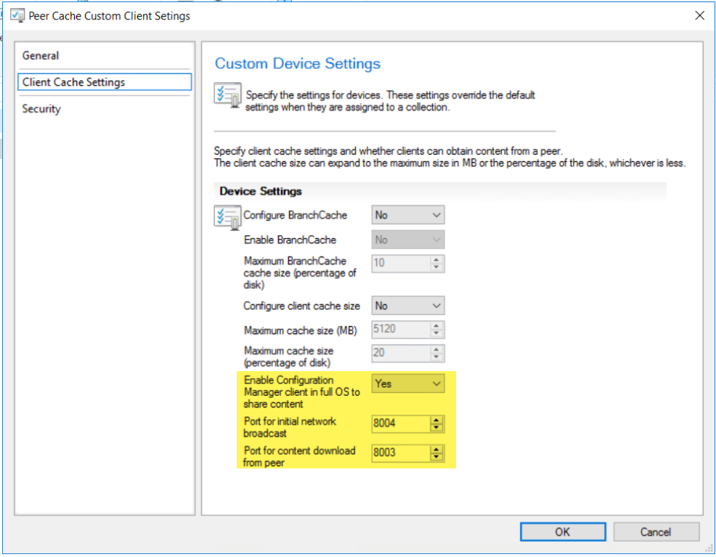 The below three options related to Client Peer Cache in the Client settings. I have created a custom client setting for peer cache(Above screenshot) and deployed to the client(WIN10 – 10.1.0.5) which is going act a Peer Cache Source. 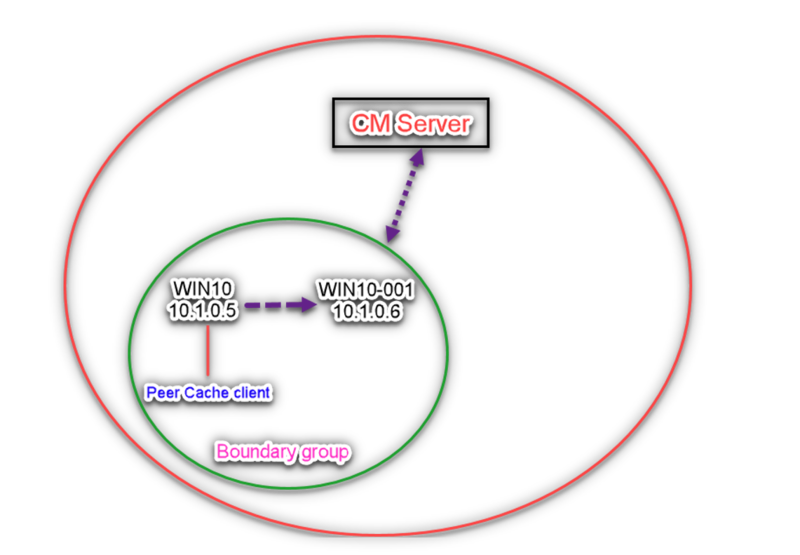 Once the client setting deployed to the Peer Cache Client machine(WIN10 – 10.1.0.5), it will change CanbeSuperPeer status to True in the below WMI location and update other settings as well. CAS will verify the Peer cache status and raise a state message(“Topic ID = Super Peer is now active, Type = 7201, State ID = 2”) to SCCM server and you can find the URL & port details which other clients going to use for downloading contents from this Peer cache client machine(Peer Cache Source). The state message will be forwarded via CCMMessaging from the client -> MP -> Site server using state message processing component. Site server will call dbo.spUpdateuperPeerStatus stored procedure and update Peer cache client in the SuperPeerContentMap , SuperPeers SQL tables. After Peer cache client reported status to SCCM server, I am going to deploy a application to Peer Cache client machine so that it will send active content status to SCCM server. 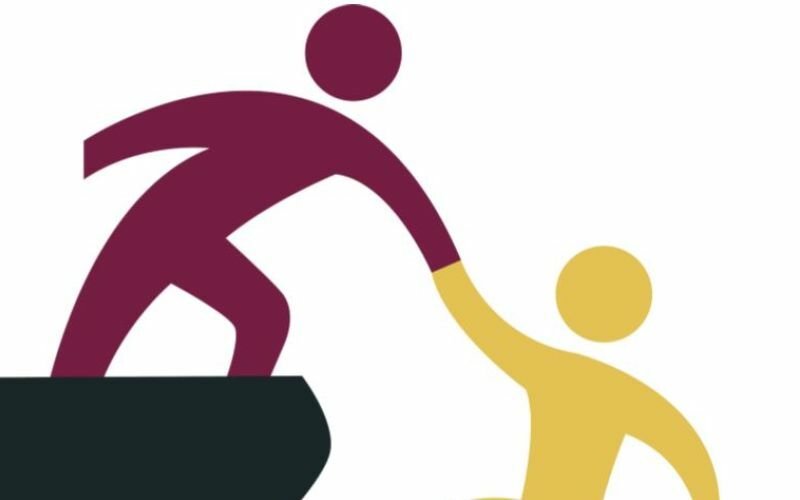 Peer cache client should have the content stored before other clients request for content so every deployment make sure peer cache client has the content prior to other clients. I have deployed the VLC Player application to Peer Cache Client(Win10 -10.1.0.5) which is going to act as a Peer Cache source. Once the application deployed to the Peer Cache Client, CAS will raise a state message (Topic ID =”Cache add Content_”***” Type = 7200 State ID =1″) for active content and forward via CCMMessaging from the client – > MP -> Site Server. 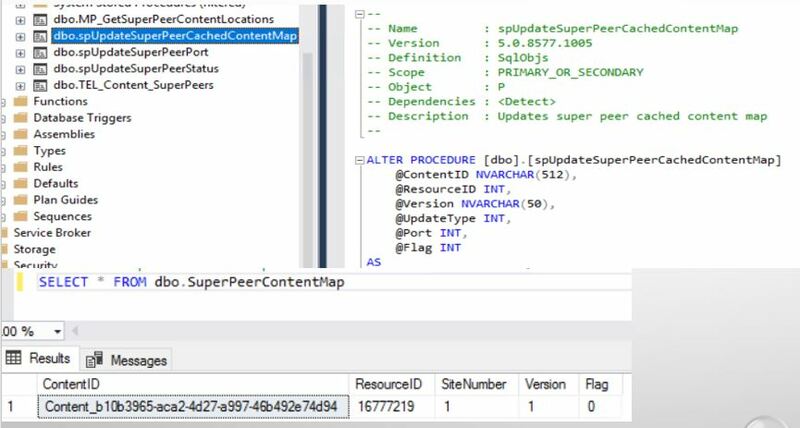 Stored Procedure dbo,spUpdateSuperPeerCachedContentMap will update the active content status from peer cache client to the below SQL table so that the Peer Cache source content location will be provided to the other clients along with DP location. Now, I have deployed the application to the other client(WIN10-001 – 10.1.0.6) and you can see the client received the two content locations(DP, Peer Cache Source client) for this application. Peer Cache Source will take first priority and the client will start to download the content from Peer cache source machine using 8003 Port. We need to configure any policies for this? How many clients can support in Peer cache concept. We need to configure client settings as mentioned in the post and one peer cache source machine can support upto 10 clients and you need to decide how many peer cache source machine we can setup on the machines in the site. Hi Karthick, I just your blog spot regarding sccm flowchart its just awesome.Could you please create one article regarding how the software or application is deploying in client n depth core while the time of installation what are log files will run so that i can learn more troubleshooting with log files. Please create one article regarding in depth log files execution whenever we do patching or application deployment. Hi Rajendran…Thanks for your kind words. definitely I will do it..
Hi Karthick, Great blog for peer cache setup. Is there any other way can we see in dashboard how which have peer cache source ? Can the clients pull the boot image from the peer cache host when they pxe against the remote distribution point? Strangely enough, while my packages are being preserved on the host peer via SMSTSPreserveContent, for some reason the boot image is not persisting (none of my packages are set to persist content in client cache). As a test I have set it to download it during the host peer cache TS, and while I now see it in the host machine cache, new pxe clients don’t seem to use it. Perhaps this is not possible as all the documentation states that peer cache works with “Additional boot images”. So does that mean it does not work with the boot image the TS actually uses? My issue is that at some of our sites the boot image can take hours to download so I am trying to see if they can pull it locally rather than standing up a DP at that site. If not, I assume my only option is to have those clients use bootable media to start the process. Any light you could shed on this issue would be appreciated. I am running SCCM 1810. Thanks.